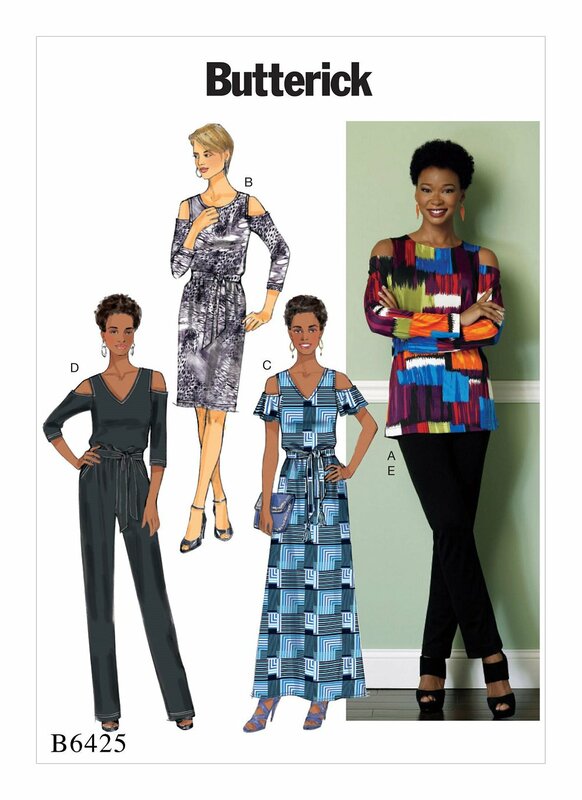 I am a pattern repeater and will make several versions of a garment. Honestly, I sew the way I shop, if I see a garment in the store and the style, fit and price is right... I want several of them. The same scenario plays out with shoes and handbags too. Once I've sewn up a garment and the style, fit and construction yields what I envisioned, its like eating potato chips. I can't just have one. This version was worked up in a floral knit from walmart and washed, dried and sew up nicely. Again sewed straight seams with maxi-lock stretch and finished seams with my serger. The neckline, armholes, sleeve hems & hemline were serged & flipped to inside and final stitched. What I also like about this top is it will work perfectly as a tank top too, by omitting the sleeves... win win. I love a tank top under my suits. So there will definitely be more of these, as well as making a dress version. I went dumpster diving in my fabric dungeon. I remember purchasing a yellow eyelet fabric with a scallop edge about a year or two ago, but to date haven't found it... uggh. However, I schlepped some other pieces from there and now need to make space in my sewing room for that. My fabric dungeon is about to undergo a revamping and in shambles. With that, the fabric containers and other crafting paraphernalia are haphazardly stacked and totally a hot mess. I can totally envision that fabric for another cold shoulder top tho'. Since, I am still exhausted from dumpster diving down there, I will work on something else in the meantime. I remember the yellow scalloped fabric, I bought the same fabric on one of our fabrics stores expeditions. Gee, I need to find the fabric? were did I stash it? Now it's clear.... you are so right. I got a feeling it's in one of the bins I can't access that's too high for me to reach. Love the fabric search in the fabric bins. I do the exact same thing only problem for me is my bins are in another state. LOL. Love the tops, by the way. Beautiful top and good luck with your organizing. You have really caught the cold shoulder fever. Like the fabric you chose for this one! Hope you find the fabric you're looking for and totally understand the sewing of multiples because I'm the same way! We have a great collection of African fabrics. various Color and best quality at lowest price. For whole sell price Visit us, hope you guys love them.